How long is too long? What's the average length of a YA book? A romance novel? A thriller? Can you go over (or under) and still sell your book? What if you have to cut words? Word count for a typical novel runs between 80,000 and 100,000 words. If your novel falls in that range, chances are you're fine for most adult fiction genres/markets. Children's fiction runs 30,000 to 50,000 for middle grade, and 50,000 to 80,000 for young adult. Chapter books run 5,000 to 25,000 words. Picture books come in under 500. Mysteries often go as low as 60,000 and historical fiction and epic fantasy rise as high as 140,000. These are very general ranges, but if your book falls outside these ranges, don't panic. Agent Rachelle Gardner has an excellent post on word count that shows what the ranges are and where you can fudge them. There is wiggle room, but be smart about it. If the average size of the genre and market you're aiming for it 55,000 words, your 110,000-word novel is going to be too long. That's like trying to pitch a movie for a 60-second commercial slot. Word count guidelines provide a framework in which to plan a novel, and can actually make it easier for a writer, because you have a structure within which to work. But ultimately, you need to tell the story to the best of your ability, however many words that is. If a word isn't pulling its weight, cut it. If it's a star performer, let it shine. Take the general ranges of your chosen genre into account, as they will guide to to what readers--and publishers--expect and are willing to pay for, but don't freak out if you go over or under. Just make sure the extra words are there to help your story, and not because you don't feel like editing any tighter. It's not about cutting it down to reach a certain limit, it's about tightening to make the story better. But if you have to cut your manuscript down? Cutting down a novel doesn't have to be a huge hack and slash deal. You don't have to rip your baby to shreds. 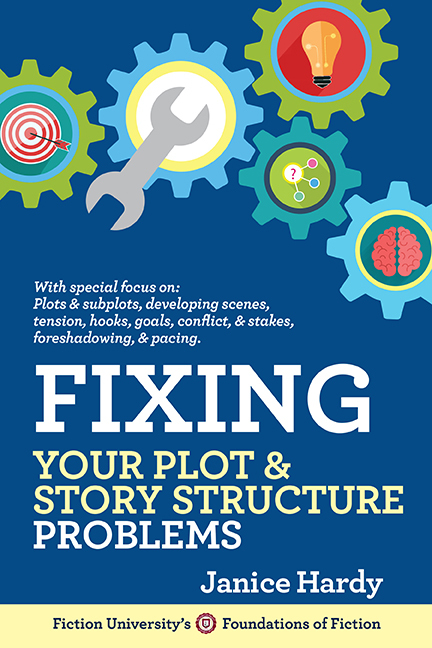 In fact, hacking away whole scenes often hurts the novel more than helps, because you're killing the story, not the extra words. What you want to do, is get rid of the stuff that isn't helping your story. Or the stuff that you can live without, even if it's good writing. "Long" novels are most often ones that are 120,000+ words. A 120,000 word novel is roughly 480 pages (based on the traditional 250 words per page format). You can cut 4800 words out if you cut just ten words per page. That's one sentence in most cases. Cut twenty words per page at you've practically hit you 10K mark. Twenty words is nothing. A 150,000 word novel? 600 pages, and 6000 or 12,000 words gone. Cut thirty words -- 18,000 words down. If you need to cut words, decide how many you need to cut, then divide that by the number of pages. That'll give you a goal of what to cut per page, and in most cases, it's a lot less than you'd expect. A sentence, a paragraph, a few dialog tags. Some duplicate bit of description of backstory you didn't need anyway. Don't think of word count as your enemy. It can be your friend, and help you position your book so it has the best chance of selling. Have you heard about the guy who wrote the longest novel in the world? It's an e-book, titled "Marienbad, My Love", and about 17 million words! The title (including subtitle) is the longest, also. I doubt that anyone besides himself has ever or will ever read his novel... but who knows! Anyway, great post! Thanks for sharing. Also, I wanted to let you know that I'm holding a Barnes & Noble gift card giveaway at my blog, if you're interested. Right now I'm using word count as an extremely generous ballpark figure to structure my story. Roughly this many words for the first third, this many for the middle section, and the rest for the final chunk. Of course my NaNo story right now is more of draft zero than draft one, but I did finish the first third right around 1/3 of the 50,000 goal. I'm closing in on the end of the middle third, which will fall very close to that 2/3 point of the word count. So by the time I flesh out what needs built up (I've skipped past parts and made notes about what I need to do there) and tighten the descriptions, I should have it fall right around where it should be. I tend to be a bare bones writer and have to flesh out my skeleton after the first draft. My current ms is just under the average YA word count, but I know I always add a few thousand in revisions. Great reminders! Great Advice. I cut almost 10,000 words using your word redundancy list and trimming my scene transitions. Now I'm being more conscious of the count as I go. @ Tessa Emily -- good grief, really? Just the thought of that is daunting. Janice, I found this post pretty encouraging, especially the part about making words count and needing to only cut a sentence per page. I'm editing a novel right now that I thought was going to finish up at 85k and ended up being 97k. That was an ouch, and now I'm cutting. I thought I could rewrite the awkward, badly planned areas and trim them down by thousands of words, but most of those rewrites have ended up being extremely strong (which is good) but just as long as the original (which is bad). One instinct is to just go, "well I have to cut something!" But as you very well pointed out, sometimes you're not just cutting words, you're killing the story. At least I now get a higher caliber of scenes to cull the weakest from. Getting rid of filler words has proven super useful to me and made a significant difference. I hadn't thought of breaking it down the way you have though. Back when my manuscript was 126,000 words, I couldn't fathom loosing any of it, but now that it's at 102,000 I have to admit it's a million times better. But if I can get it under 100,000 I'd feel even better about it. I'm definitely going to give your method a try. Thanks for the tip! The most helpful piece of advice I read while trying to chip away at my word count was to get rid of "set up" chapters, jump right into the story and fill in back story later as needed. That was like the revelation of the year for me. It freed me up, I got rid of over 10,000 words in one go, and now my manuscript begins at a much better place. It is a drastic move, but when I considered those first chapters I realized they were bogging down my manuscript. Joe: Wow, that's quite a cut. Is that normal for you (as in, you write long and edit after) or did you really have to dig in for that one? Tessa: LOL, no I never heard of that one. I can't even imagine. Is 17 million words even possible? Jaleh: I use word count the same way. That's cool that it works even on a zero draft (love that term) basis. Kristi: I write the same way. I aim for 60K first drafts, and the finals usually are around 70K. But I didn't used to be like that. I wrote long and trimmed back, but I eventually figured out that just didn't work as well for me. Natalie: That's awesome! I'm glad to see it helped. Emy: No matter how large the project (or what type of project) I've always found it easier to manage if I broke it into bits. You also get a better sense of progress since you see advancement. Creative A: That's great that you've made your scenes stronger. But yeah, I do the same thing when I try to fix weak scenes, which is how I figured out this "per page" thing. There are times when you can cut whole scenes, but not always. But you can almost always tighten what's there to make it better. Good luck on your edits! Cacy: Grats! 24K words gone is impressive. I've no doubts you'll be able to trim those last few thousand :) Great tip about the set up chapters. I yanked four chapters out of Shifter 3 because they were more set up than story. I needed to write them to get it straight in my head, but they've done their job now and can go. Transition scenes have that same problem. I've saved words by cutting the "we went here" type travel stuff and just cutting to the next scene. I do tend to write long and pare down later, but this was a stretch even by my standards. It was only my second completed novel. * First I had a plot that simply rambled too much. I ended up bringing the resolution about earlier, cutting some secondary characters, and cutting or downsizing some hijinks. Second I had some really self-indulgent writing. Scenes that I wrote not because they furthered the story so much but because I wanted to write this situation, or this setting, or whatever. In many cases I justified them to myself as being important because they gave the reader a sense of who my MC was. Ooh, and travel. At the end of the novel my protagonist needs to get across state lines despite being too young to drive, and I went all LOTR on my readers. ;) I needed to tell more and show less. *grin* I left in enough to show the challenge of getting from point A to point B, but now it's more about specific details and incidents. Once I chopped and chopped and chopped and restructured, I brought it in under 85,000. The ten or eleven thousand I've cut since then have been more normal tightening: I have a real problem with sentences and clauses that basically reiterate what has come before, for one thing. Maybe a bit more navel-gazing than is necessary, too. I guess at that point I was doing what you say here, only without thinking of it that way. I probably cut twenty to thirty words per page in that tightening round. I really need to learn to write a tighter first draft! *For some reason I didn't have anything like that with my first, but that doesn't mean much given that that first novel sits in a drawer in my desk now. This may destined for the same drawer, for all I know, but the more-or-less polished MS I have now is a thousand times better than that earlier book. It may have been a lot of work, but it sounds like you developed some great revision skills while doing it. And the ability to look at your work objectively. I'm a few months too late, but this is a great post. Your concept of "ten words per page" is brilliant. Just where I need to be. Thanks for the tip! Most welcome! I'm always amazed at how easy it is to cut words when you don't think of it as "cutting the whole novel." Learning to say more with less is an art, but can be done. Recently did some editing for an author and managed to do rewrites and cut the text by 50%! The sotry read much better and turns otu to be her publishers favorite... So yes, less is more. Anon: Wow, 50%? That's impressive. Glad to hear it worked out so well for the author. Thanks for the advice. I suppose it's better to write freely and then cut down as necessary during edits afterwards. It's great to keep in mind a ballpark word count though so as not to go too much overboard. Yet, it's also distracting if you just focus on the word-count and not the actual substance of the writing. I think it depends on the writer there. I tend to write short and flesh out after, but I have friends who write long and edit afterward. Both work. I think you're better off writing freely to whatever style works for you, and then worrying about polishing after. Get the story down the way you want it first. You're right, it can be distracting to worry about word count and final draft issues in a first draft. That stuff can all come later.